A lot of us Aussies don’t really pay much attention to the fridge. It’s the humble soldier in the household, just humming away without demanding much attention. To a lot of us fridge-owners, a fridge is just a fridge. We’ve probably had the same one for the best part of a decade and it’s nothing more than the big white (or silver) box that keeps our food cold. 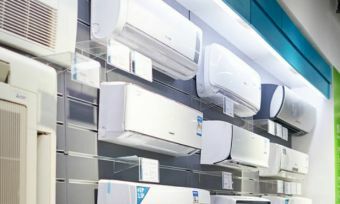 However, a fridge is an expensive appliance, so if you’re looking for a new one, it’s a good idea to know a thing or two about what’s on offer, and the differences between them. So whether you’re a newly moved out young’un buying your first fridge, or a grown-up looking for an upgrade, this is your guide to different types of refrigerators. Chances are, you might find you much prefer another type of fridge than the one you’ve got, so read up and shop around! What types of refrigerator are there? Now the last type isn’t exactly a category, more another type of fridge to consider. Let’s dive in with more detail. 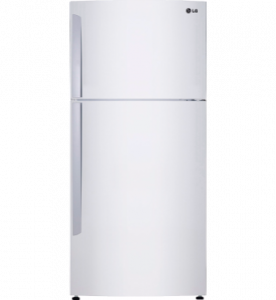 This is the model that most of us will instantly visualise if someone says the word ‘fridge’ to us. It’s a single column refrigerator, with the top third (approximately) dedicated to a separate freezer compartment. This type of fridge is the most common, meaning it’s also generally the cheapest, and has the widest range on offer. The downside of this is that top freezer models are generally rather low on features, and less thought is given to their appearance. However, if you don’t care about features and don’t really mind how your fridge looks, this type of fridge is a good option. 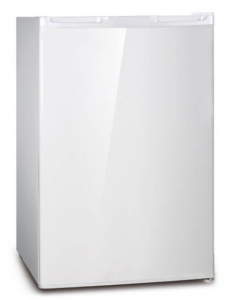 Take for example the LG 442-litre fridge (GT-442BWL). It’s of an adequate size to suit a medium-sized family or household. It retails for $1,249, which is about the average spend identified in our Customer Satisfaction Ratings. It boasts four-star energy efficiency, and uses 334kWh a year, meaning it’ll cost around $110 (based on 33c/kWh) annually to run. 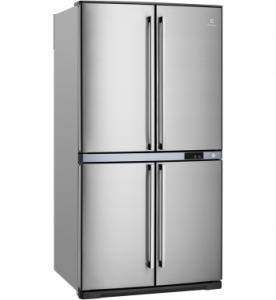 As the name suggests, a bottom-mount fridge is just like a top-mount fridge, with the obvious exception being that the freezer compartment is at the bottom. That’s all there is to it. Generally speaking these models are less common, which means less variety/range, and as mentioned earlier, they tend to be less efficient or more expensive than a top freezer model, meaning they could cost you more to run in the long term. Though, that’s not to suggest that all models are bunk. These fridges are essentially wider-than-usual fridges split in half, with one half being the fridge side and the other the freezer side. For those who tend to freeze leftovers in high volume, or exist on freezer food, this type of fridge may be ideal. Some side-by-side fridges allocate slightly more room for the fridge section, however the freezer will still be larger than that of any top or bottom freezer model. The doors open from the centre rather than the side, meaning less spatial clearance is required to swing the fridge door(s) open. Also worth noting is that side-by-side models often come with features such as water, ice dispensers, and external user interface panels, which some may view as desirable features. The downside of this is that these features can also mean a higher price tag. 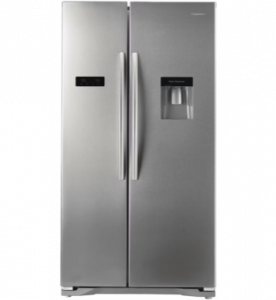 Possibly the most versatile (and most expensive) type of fridge, French door fridges are similar in width to side-by-side models, and have the entire bottom third devoted to freezer space, just like a bottom freezer model. As with side-by-side fridges, the fridge door is split into two, opening from the centre for the fridge section. Some French door fridges have a single door for the freezer section, but some split the freezer section the same way as the fridge section, making for a grand total of four doors on your fridge. The main advantage to this slightly elaborate door configuration is that opening one of the half doors lets less cold air out than if you’d swung open both. The other advantage is the fact that as with a side-by-side model, the split doors mean less clearance is required between the fridge and your bench/other kitchen installations. French door fridges are becoming more popular today for their innovative approach to refrigeration. One such handy feature is a drawer-freezer, so you can plonk your Christmas hams in easily. However, at the cost of this innovation usually comes a higher price, and higher power consumption. from being very cheap to purchase, easy to transport and they basically get the job done when it comes to keeping drinks cold. Many are under 100L, and some are even smaller in capacity than 50L. However a good idea they might seem, bar fridges are rather energy-inefficient relative to their size. In fact they often use similar amounts of electricity as regular-sized fridges, but at less than a quarter of its capacity. What type of fridge is right for me? There are no real disadvantages to high-end fridges that would dissuade you from buying them, save the price, which is why many of us tend to go with the classic top or bottom freezer models. But if you’ve got the cash and fancy a high-end fridge with more space and some flashy features, a side-by-side or French door fridge may fit the bill. When buying a new fridge, you’re likely to stick with it for a while, so look at a lot of different fridge types to determine which one is right for you.